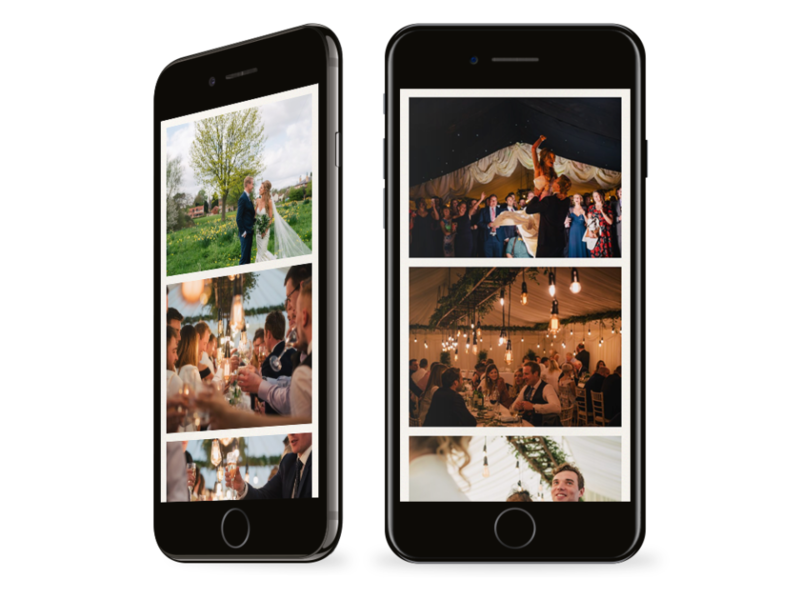 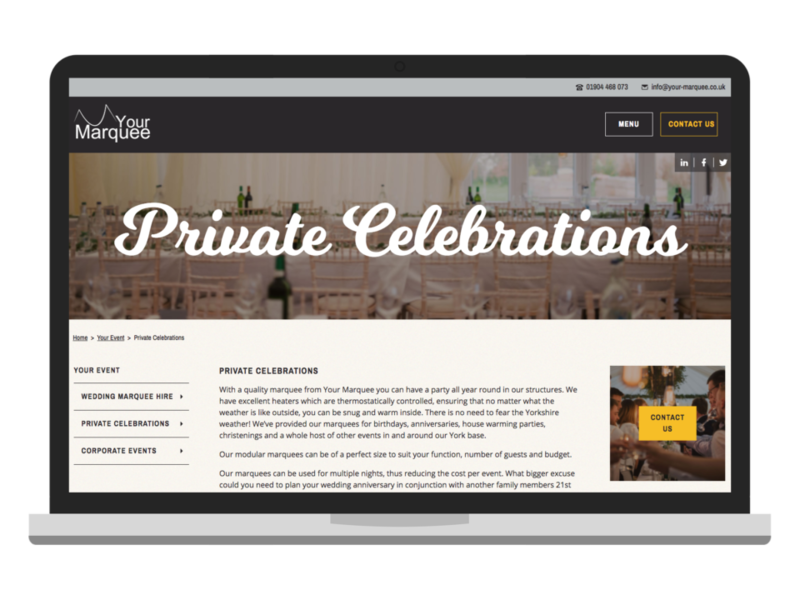 Your Marquee is a Yorkshire-based marquee and accessory hire company, specialising in wedding marquees, private celebrations, and corporate events. 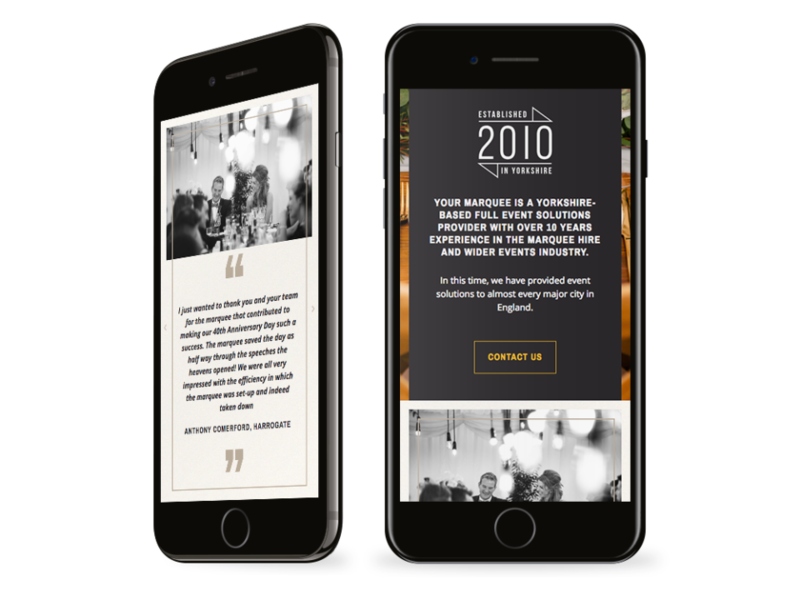 We designed the company’s first website and we were delighted to be asked to refresh and expand the design for 2019. 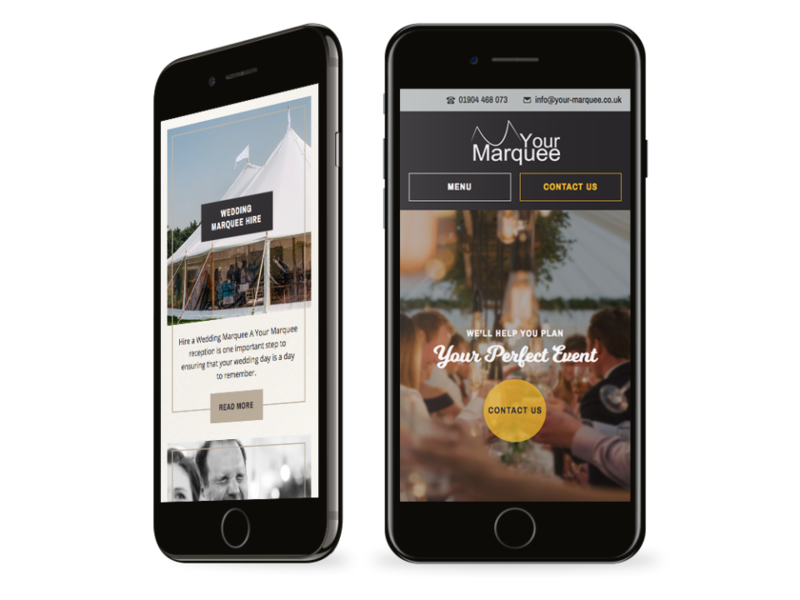 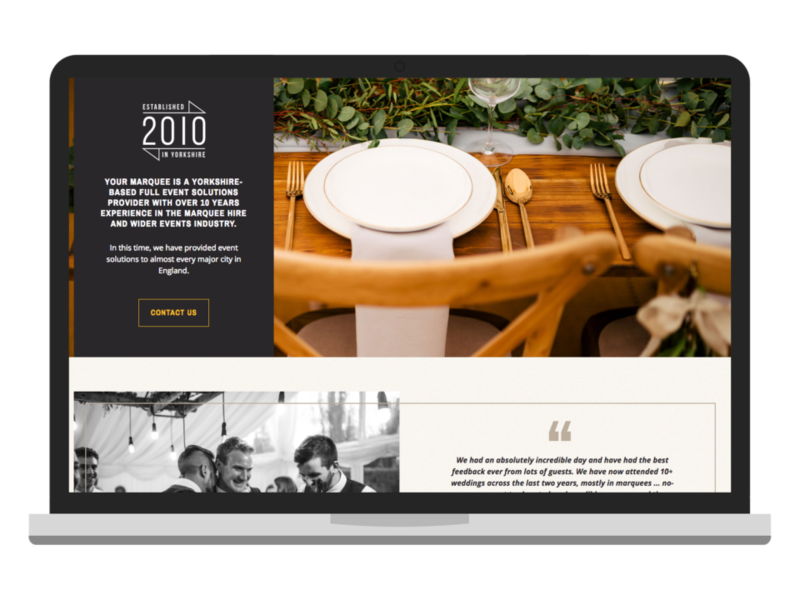 The new site builds on Your Marquee’s brand, adding a luxury, high-end look that reflects their growth and ambition as a company. 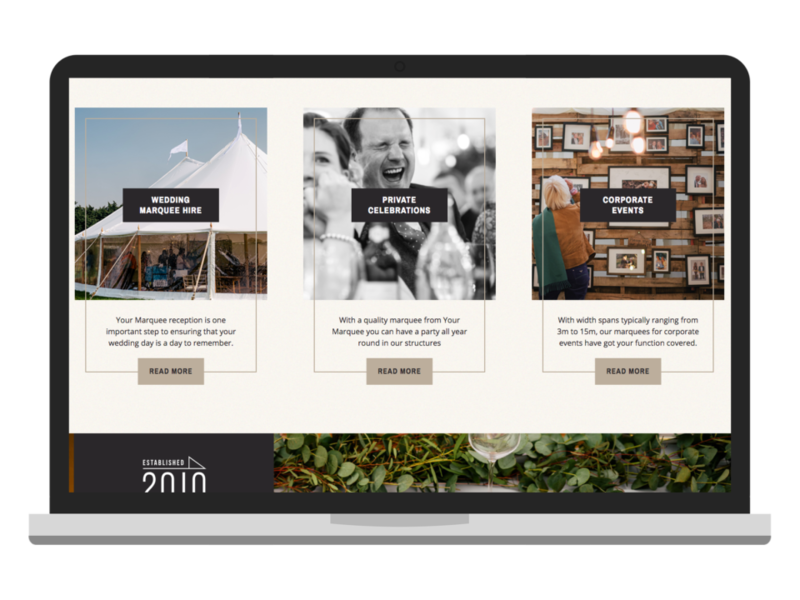 We made extensive use of photography, showing their marquees in use for a range of events. 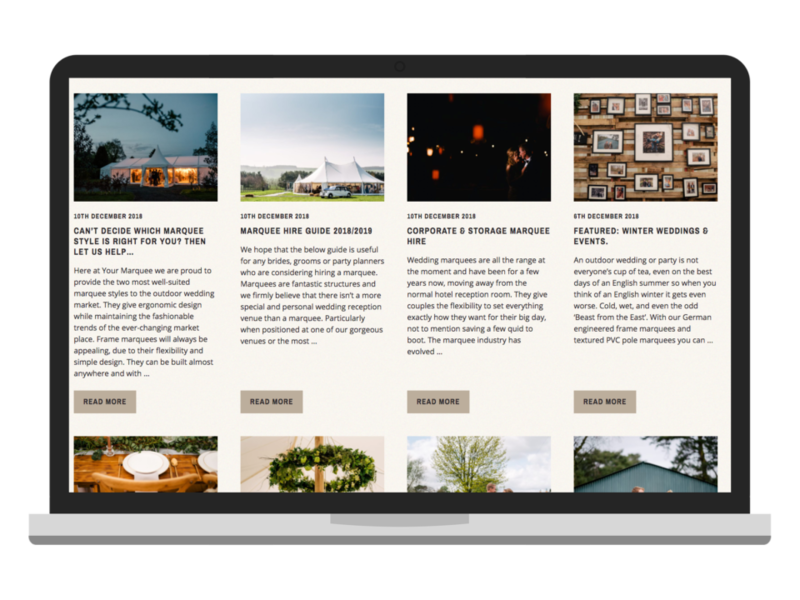 A simple and straightforward navigation structure and clear typography makes it easy for visitors to find the information they need and get in touch. 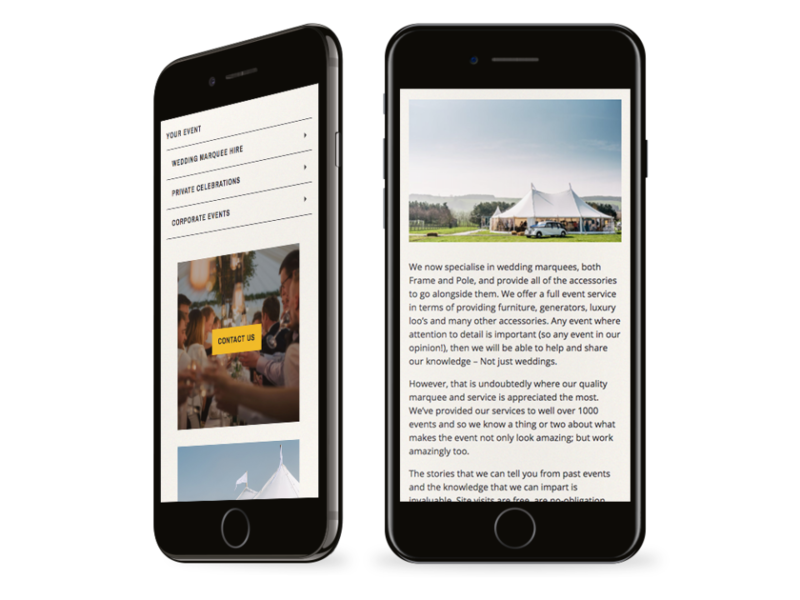 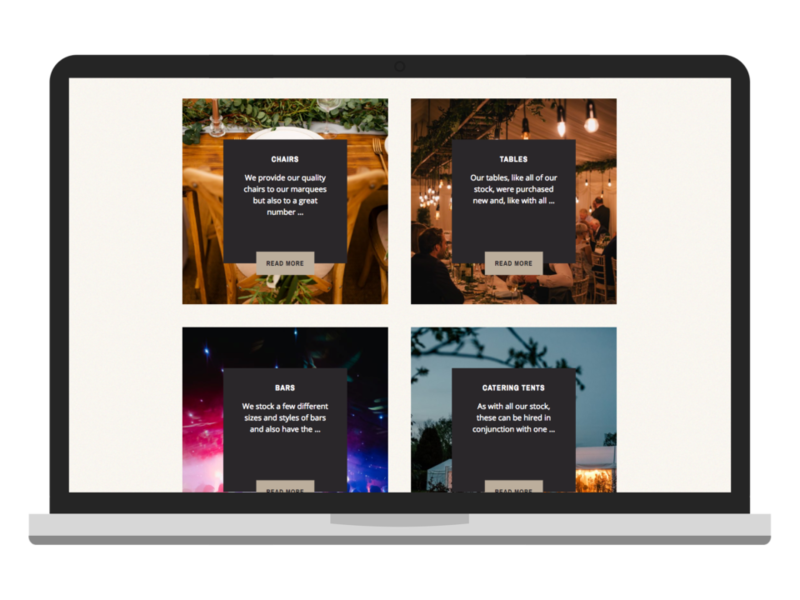 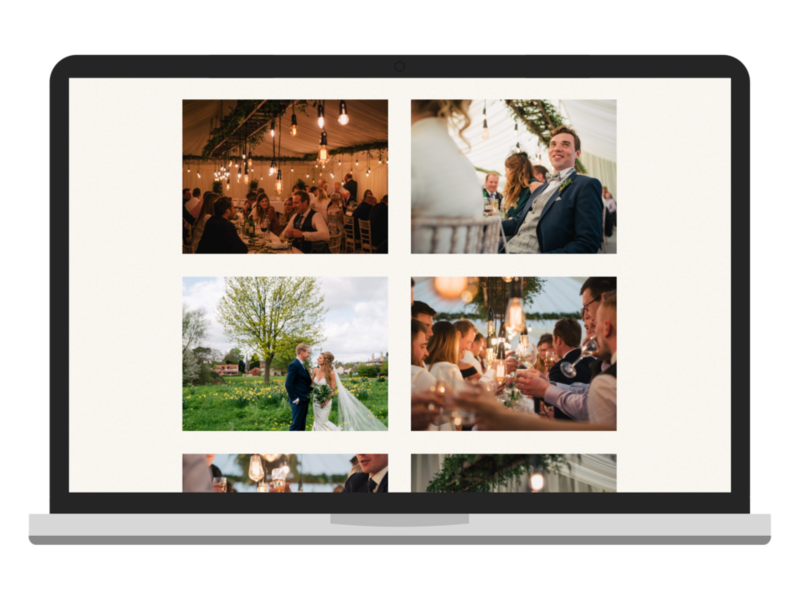 We used WordPress to provide content management for the site, allowing Your Marquee to keep the site up to date with their latest news and images. 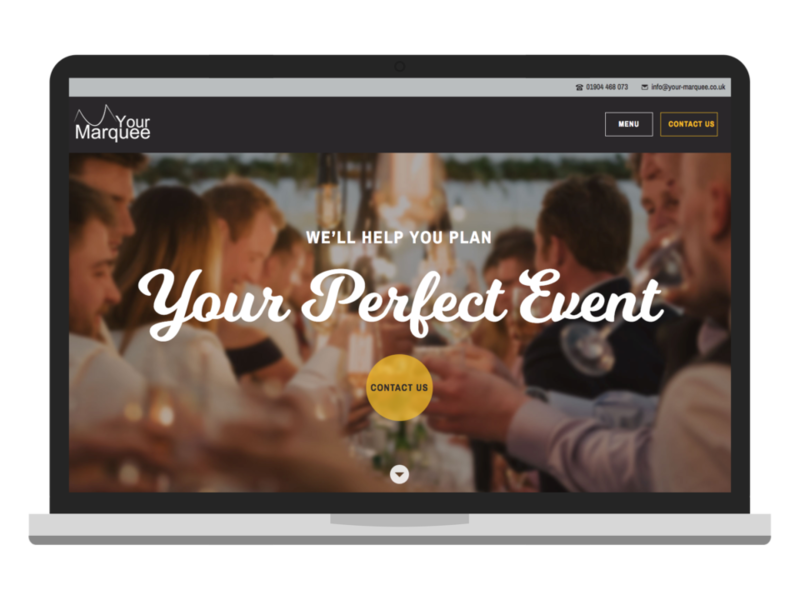 A clear, bespoke contact form lets people get quotes for all types of events quickly and easily. 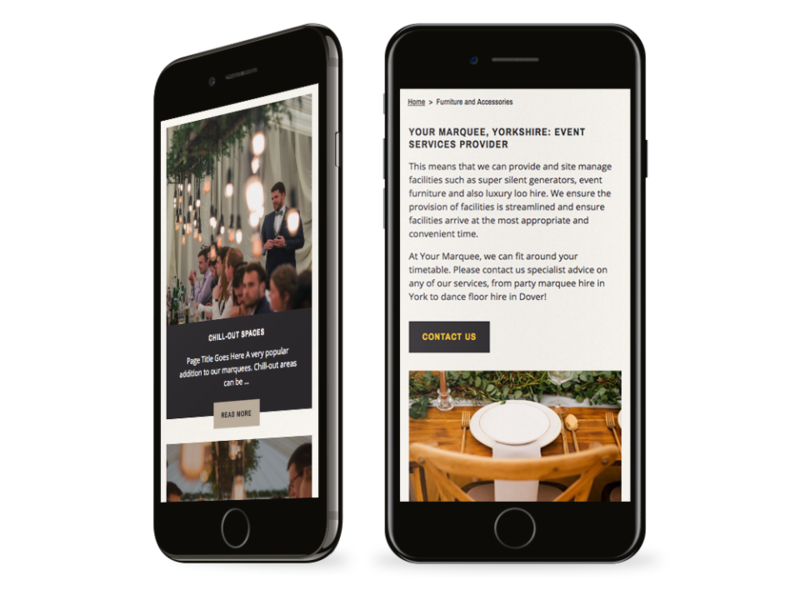 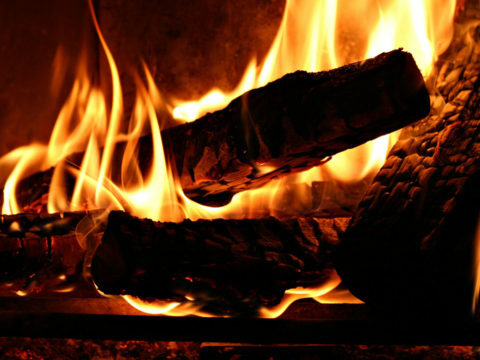 Links to social media provide the company with further reach and let visitors share the content more widely.